Everything a beginner needs to know! For the first time ever, you’re planning your kitchen. Where do you start? First, look at your routines and assess yours and your family’s needs in the kitchen environment. How often is your kitchen used? Will your family dine there as well? How big is it and of what shape? 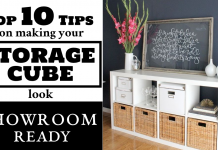 How much storage space will you need? Consider everything you will hold in the kitchen – dishes appliances, groceries, cutlery and miscellaneous other gear. Familiarize yourself with the standard layout options. They determine your limitations and advantages. Figure out which is reflected in your kitchen. 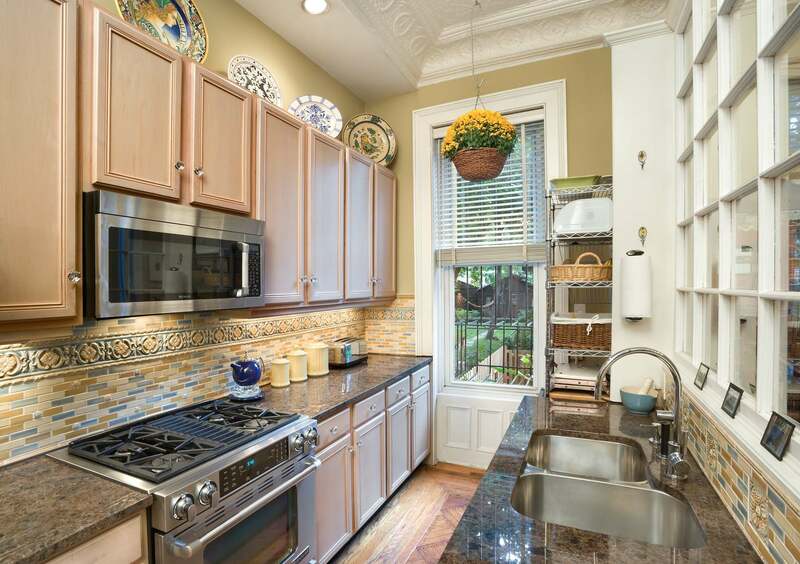 A galley kitchen layout would be two runs of cabinets on opposite sides of the kitchen. They work perfectly in small spaces and houses. Galley style kitchens are generally preferred over U-shaped kitchens due to there being less dead space. L shaped kitchens are typically a better fit for larger spaces. Though the space may be larger, the walking distance between the main zones (refrigerator, sink, and stove) is minimized somewhat if the kitchen work triangle is utilized. Some might find the dead space in the corners of the countertop to be difficult to work with but it’s a problem that may be remedied with the installation of a Lazy Susan cabinet. In some designs, a section of the L shaped room is designated for dining. Offering an abundance of workspace and storage, the U shape is spacious – unless there are cupboards on each wall, as they can serve to make the room feel tight in that design. Some people utilize one of the U’s legs as a breakfast bar. Others actually shorten the leg for greater space circulation. If the space is large enough, some even opt to turn their layout into a u shaped kitchen with an island. 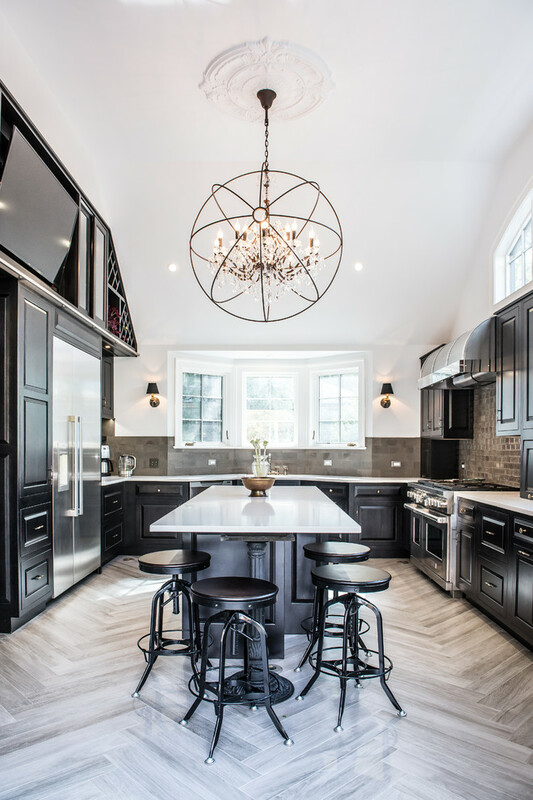 For many years the addition of a kitchen island has been a beloved and cherished fixture in rooms large enough to accommodate one. They are a free-standing waist-high block that is accessible from all sides. You may even choose one with a sink and cooktop, though popularly it is best used as an informal seating area. It’s great for entertaining while meals are being prepared simultaneously. Understand that the areas for food prep, cooking and the sink should not be far apart. They should form a kitchen work triangle, where the fridge is never directly next to the oven. With this in mind you can better select an overall design. Do you want fitted units or a freestanding kitchen? 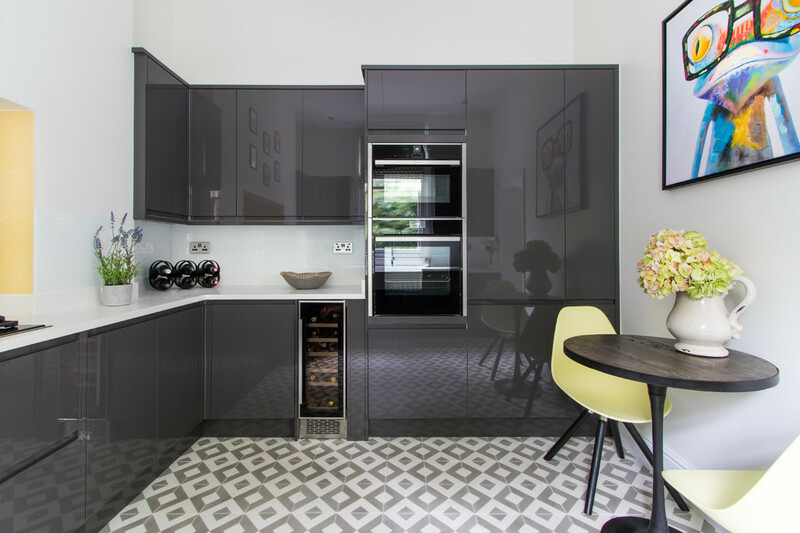 Fitted kitchens are great because they make the most efficient use of the space. No corner is left unused and they provide excellent storage use. You may select flat packed, rigid or custom built units. They all work well, so pick whatever best works on your budget. Most importantly, fitted kitchens add value to a home. Free standing kitchens meanwhile, have a more informal appeal, one that can work with random furniture, even those as cumbersome as dressers. 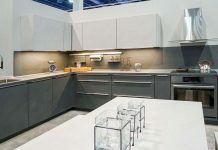 Among the popular materials used in kitchens are substances such as vinyl wrapped thermofoil MDF (medium density fiberboard) as well as laminate, melamine, veneer and solid wood. For those who prefer a shiny finish, factory applied lacquers are known for being light reflective as well as durable and easy to clean. 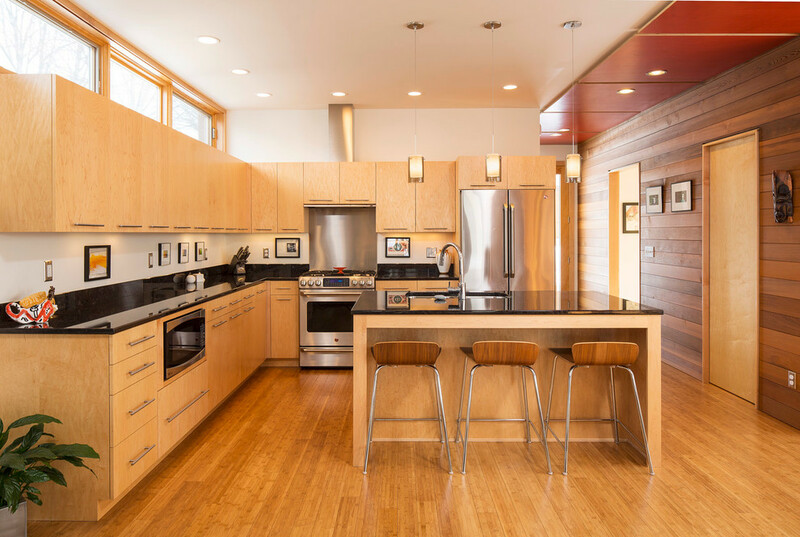 Maple and birch, the lighter colored types of timbers, are as commonly used as the popular darker ones like walnut and deep cherry. 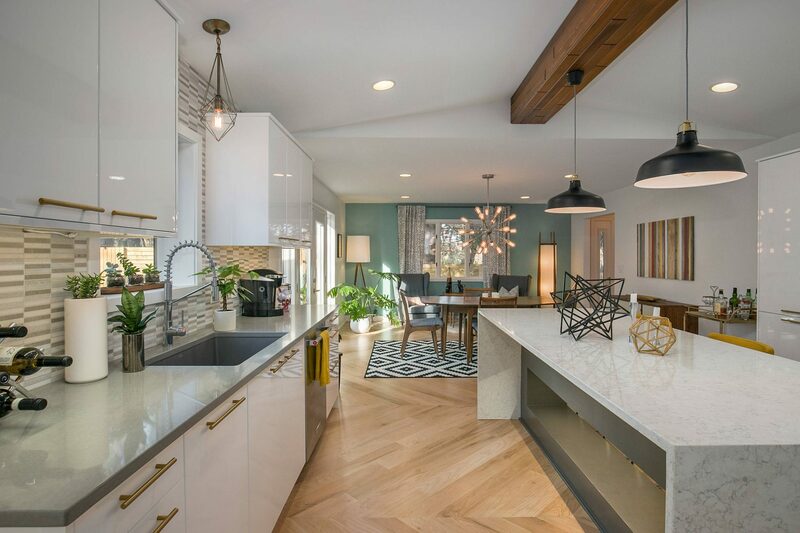 Naturally, glass is also used often, and can brighten the whole room especially when designed to work in conjunction with the surface, backsplash and integrated lighting. You’ll need to do what is called a “first fix” preparation layout. This not only determines the location and position of all electric and plumbing devices but it insures that they are accommodated with nearby outlets as well. By planning this all out, you reduce the amounts of time and money spent on installation. 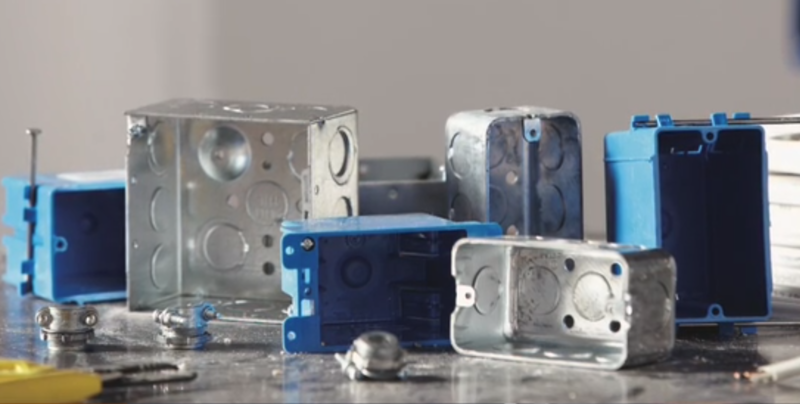 Sockets below worktop height that take wall socket boxes and cable tails can be positioned during the fitting process. At the same time you’ll want to set up your ceiling and under-cupboard lighting as well. With the upcoming cabinet installations in mind, gas and water services should be positioned along with waste pipes and extraction holes. One of the most important choices you’ll make is the type of countertop work surface to install. You want one that reflects your visual preference and also is durable and great to work with. 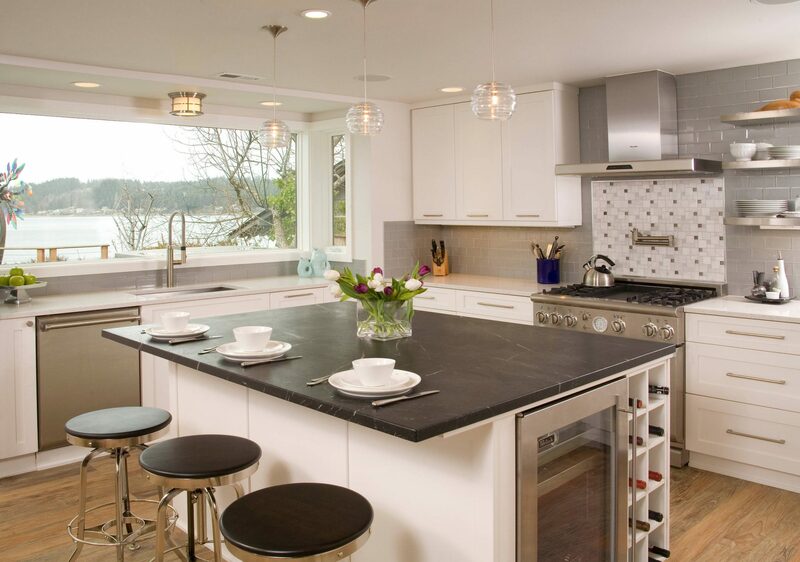 Granite and marble are quite popular, both heavyweight and attractive. However, they are expensive and must be installed by a professional. Contemporary and industrial designs work well with steel, but it is expensive, and easily scratched. High end countertops of Corian and synthetic stones can be molded to custom dimensions, even to the point of including a sink. The longtime favorite found in tiles add color and style but are a little hard to keep clean what with all the ridges, but it’s worth it if you don’t mind a little work. Of course, wood is preferred by many purists. A great advantage to wood countertops is that despite the abuse it takes it can always be sanded down and refinished to appear new. Now, what’s to be done about sinks and faucets? Ceramic is probably preferred above other options like stainless steel. Be certain to choose one large enough to accommodate everything you will possibly need to use it for. Consider large accessories and maybe even that giant turkey that needs to thaw. Have fun choosing a faucet and fixtures – with so many designs available you have an opportunity to make a visual statement with your choice. Finally, there are plenty of accessories you can use to aid in your stylistic endeavor. 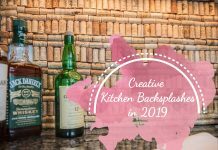 From the hardware on your cabinets, to the style of inherent items such as sugar bowls and tea pots, you can follow a specific favorite theme and tie it all together with matching embellishments. If you can come out of the gate of your first remodel a success, imagine what other accomplishments the future may hold! I like how you talked about the “first fix” preparation layout of kitchen remodeling. I’m thinking of having my kitchen redone and this was really interesting to me. Thank you for the information about how you determine the location and position of all electric and plumbing devices and ensuring they are accommodated with nearby outlets.